In 2016, Digital Promise and Maker Ed launched the Maker Promise, a campaign to bring quality making experiences to students across the country. Since the launch, we’ve challenged school leaders, educators, and community members to show their support for maker learning by committing to being champions for making, supporting spaces to make and learn, and sharing and showcasing student work. In each of the past two years, we conducted a survey of these Maker Champions to better understand the state of maker education in the U.S. Through these surveys, we have gained a better understanding of who the Maker Champions are, who they are serving, the status of their programming, and how the Maker Promise can support their efforts. 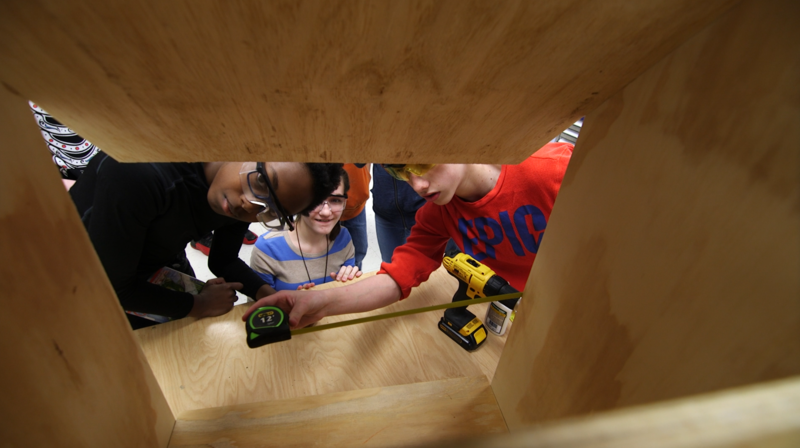 Making in schools continues to be initiated and led by teachers and other in-school educators (63 percent of signers) who identify as the “person most responsible for implementing maker learning in their school or district.” These Maker Champions also report high levels of administrator (22 percent of signers) engagement and support with these programs. In 2016, respondents noted a concern about the lack of models for academic integration. In 2017, many educators who took the survey reported to have found ways to integrate making into various core subject areas, with science courses experiencing the most maker learning integration. Survey respondents were asked to rank by priority a list of resources that would be most immediately valuable to supporting maker learning in their school or district. The most identified need continues to be project ideas and guides, with resources for student project documentation trailing close behind. We are excited to continue to learn from and support Maker Champions everywhere as we cultivate and grow the maker learning movement so that all students can have opportunities to discover themselves as makers and learners. For more information, take a look at our new annual report and visit the Maker Promise website.